In an effort to know G.W.F.Hegel, this post was written alongside Hegel’s celebrated preface to the Phenomenology of the Spirit (trans. A.V. Miller, w/analysis & forward by J.N. Findlay, New York, Oxford U.Press, 1977. Originally published in 1807.) The following citations from the Phenomenology are numbered according to paragraph (PS/00). If one pursues knowledge in the usual way of accepting or debating, this limits apprehension of philosophy as only true or false. Philosophy should be an “unfolding of truths.” (PS/2) Hegel draws on an analogy of a fruit blossom that becomes the fruit, much in a way that appears to ‘contradict’ each successive phase & form. A flower is not a fruit, yet a fruit is born from such blossoms. We’ll be comfortable in starting to think that this is the way a philosophical work grows, as it transforms into misunderstood ways. Hegel claims that the misunderstood impulse is to only think of what can be refuted or agreed upon & that this habit is an outdated discourse. Philosophy is a processional way of knowing consciousness & is not only about starting with its aims outright. This is from the universal, to the particular & back again. Hegel goes on to say that the process of comparing another philosopher’s ideas is a bit of a distraction from the real issue at hand. To judge if a thing is solid & hard is different then comprehending such a thing, the latter comprehension being the more difficult & so the blend of the basic judgment & that of comprehension, is even more difficult. A way one must start would be by generalizing & “to support & refute the general conception with reasons.” (PS/4) Hegel’s living is a difference of knowing that there is a systemic science of knowing. This is the action of pulling up the science that resides in knowing. Let’s set aside our incidental complaints to know selfishly & let’s replace that with a voluntarily recognition that the time to philosophize is now. This is the time to grasp Hegel’s phenomenological science. Only we can accept that his drive for knowing is presently in our hands, in our minds & in our historical presence. Working through Hegel’s way is our responsibility. Here we are introduced to another term: “notion”. (PS/6) This is referring to a notion of truth & the only existence of what that truth is, as a concept that is related to the absolute. If we can see that since truth is a part of the absolute, can the absolute be fully comprehended? Each truth is only but a facet of the whole of the absolute. Spirit (Geist: mind/spirit &c.) must mean a kind of internal & external supra-consciousness, to be differentiated from a semi-religious conception of an inner phantom. In earlier times, spirit had to undergo the illusions of heaven, from there into a material body, then back again to rediscover the riches of heaven, in these trials a living spirit could be left unsatisfied. We cannot replace the same edifications of religion to be the same as with this new science of philosophy. Notion [concept] & necessity are held apart from complacency of thinking. The expanse of the spirit is only as big as it’ll express, there is a knowing that starts with the substantial & pre-conceptual. It is in this pre-conceptual state that we receive God’s wisdom in our sleep, in a dream & not as actual knowledge. Spirit is always in motion, always in flux. Recall the Heraclitus fragment: “τὰ ὄντα ἰέναι τε πάντα καὶ μένειν οὐδέν / All things move and nothing remains still.” Again, for Hegel this spirit has to be born, as itself, as knowledge & as the notion of the absolute. This new spirit grows & changes shape “…dissolving bit-by-bit the structure of the previous world…” (PS/11) That which will be unknown is replaced & thus signifying change as a new way, negating what has to be replaced by that which will have to be challenged again. The whole is not known by its start. “So too, science, the crown of the world spirit, is not complete in its beginnings.” (PS/12) Our notion is yet a seed, an acorn & not the whole oak tree. Spirit is finding itself into a realized knowing, only in its explanation of itself as it changes & progresses from a former way of doing things. Before consciousness is to be defined as science it will have the appearance of being privy to only a select few, who will try to define it, as it will be prone to mystifications, something that must remain only as an inwardness. Hegel could be in the act of making the incomprehensible into the comprehensible. Science should be making sense, rather than becoming an esoteric pursuit. There too arises the problem that science seeks reassurance & validity without being ‘right’ all the time. But can we shoot down the whole for such a tendency? No, we can’t, science has to submit to its own interrogation to continue improving & growing into a more effective system. A preconceived notion of the ‘absolute idea’ can produce a wealth of information in extreme examples. Yet, is this really analyzing the way it knows things, or is it just going with a formalism that’s overly familiar & pat? We become convinced that delusions are the way things are, & therefore can remain unchallenged. There was a simple idea that time itself was enough to change the static nature of things, to refute those old ways. Hegel continually wants to show us that it is a misconception to see the absolute as a definite thing, “…to palm off its absolute as the night where all cows are black…” (PS/16) This is said to be a reaction to Schelling’s conception of the absolute simply as transcending subject & object. A claim of an absolute cannot be a relativism. We can’t get caught up in thinking that the absolute can be defined as a list of things we’ll say about it, because it is always much more than that. We are, as Hegel continues, left only to begin with a general outline before the details are meted out. Everything about the true must rely on its substance & then into it as the subject, it must be universal as it can be an “immediacy of knowledge.” (PS/18) The absolute is not mere substance & so, we must seek after an absolute that is undifferentiated substance with subject, yet still remaining whole, instead of an empty beyond. A definition of the absolute cannot be restricted by pointing to what it’s not. or with its mere incidentals. Whereas Hegel’s distinction is to look for the development of the absolute from which we’ll start our journey thinking of it: the absolute as not beyond, but simply whole, ever changing & ever transforming. In the process of ‘substance becoming subject’, it must be a self-affirming/negating way of apprehending the world for consciousness. It is in this way of perceiving being as a dynamic relationship of otherness & sameness that constitutes a way of understanding being as a substance for thoughtful science, again leading us to the workings of the Hegelian dialectic: “only this self restoring sameness, in the reflection of otherness within itself…is the true.” (PS/18) Any thought that the absolute is pure love, does not take into account the negative as an accounted-for balance, this loving aside is plainly an edification. “The true is the whole, but the whole is nothing more than the essence consummating itself through its development.” (PS/20) The whole of the absolute is in the process of defining itself & its results are still only parts of the whole. We must not ‘abhor’ meditation, a reflection where the subject becomes immediate with the ‘I’ as it tries to access the true in its thought where reason is born. The simple immediacy of reflection is where the true starts to find its realization as rational, by acknowledging that it’s the necessity of the antithesis. “…reason is a purposive activity.” (PS/22) This is where Hegel seeks to align with Aristotle’s definition of nature as having a purposive ‘telos’ & Hegel wants to show that the self is discovering as it is becoming, as it’s changing in the world around it, which is simultaneously at rest while it changes. Purpose cannot be removed from self-consciousness. As it moves away from itself in realization to become better acquainted with the world, a result will be to find the purpose of things in our becoming. Statements like ‘god is eternal’ only point to the external predicate & do not address the act of reflection itself. Such statements are external to reflection given that one should define the other (god &/or eternity) as beyond reflection, “…knowledge is only actual…” (PS/24) & not external to itself, yet, it can be laid into a systematic science. If we haven’t already made it clear, it will be important to see that when we are looking at the general & we think we are obligated to understand it only as a possibility of something that can be true or false. It can be refuted that this conception is just that, an old principle, while the refutation should then be a refinement of the original concept, therefore taking it all to a newer place, an updated conceptualization. The refutation (falsity) can become the ‘basis’ or ‘beginning’, & a starting point, rather than the end it might seek in its original shallowness to know what is true or false. We then look for the dialectical way a person becomes an individual & so in practicing this new mind-set we’ll become unconditioned with Hegel’s help. Consciousness becomes aware of itself actualizing its very antithesis enough to notice this study of science. Consciousness has to start with this outward expression of science, to move inward towards its own knowing. The immediacy of knowledge is first found in the sensual world, continuing to advance its way to become “genuine knowledge.” (PS/27) When consciousness does this kind of work, what it finds out may not be recognized as science in a traditional sense. This kind of knowing will not come about in a flash, as like “..a shot from a pistol…” (PS/27) The individual has to be educated into such a position, as real as any education. This has to happen in a universal way, with universal meaning & application. The individual can start to see his former ways of understanding as just that: formative. This way of knowing can still look back on childhood games that have contributed to formative knowledge. What has been taken as serious thinking will have to be taken as a transitional point onto higher knowledge & that which is not yet known. “This past existence is already acquired property of universal spirit which constitutes the substance of the individual, & hence appears externally to him as organic nature.” (PS/28) Former education may be seen as having a concern for what’s at hand, instead of this spirit becoming self-conscious. Yes, this is about spirit contemplating & ‘becoming’ itself. Hegel tells us that science has already started work on this front & it will be spirit’s job to know this. Each step into & out of all this, has to be savored to then be looked on as necessary. One is trying to look beyond one’s basic individualistic determinations into a bigger picture that extends outward from our singularity. Sensual existence is where we’ve come from & science has shown up as a moment of the spirit to take us beyond base sensual understanding. Sometimes we’ll clumsily seek to know without always comprehending how we’ll get there. Ancient thought had the convenience to satisfy itself with philosophizing on what came upon it anew. Whereas modern times have to contend with all the abstract notions that are already in place. This obstacle tends to obscure original thinking, as the job will be tougher to dislodge these multiple entrenchments. Thinking has to reach a new immediacy. To recognize itself as doing so, it has to let go of its predetermined ‘fixity’ & the ‘I’ has to move along with this new opening of learnable growth. In this action, thoughts become conceptualized. Science understood from this vantage is the naming of the essential of the whole, not just the little issues that spring up, but consciousness that’s inside, outside & all throughout our lives. These are the first steps in this philosophical endeavor with Hegel. Spirit as it exists immediately is consciousness that is knowing & not knowing. The moment of knowing consciousness becomes the subject & object to itself. Spirit is knowing that becomes ‘other’ to itself, then becoming object to itself. Experience becomes alien to itself & thus joins this alienation to become the “…actuality & truth…” (PS/36) of experience as consciously realized. The conflict that arises with the ‘I’ & the substance, whatever that may be, is the soul of things. The face-off with the ‘I’ & its negation is the encounter with substance as subject. Spirit is in its essence when it is in full acknowledgement of this action. There is an essential disparity between the self & object, not only is it the self in negation to the object, but the object is in negation to the self again. This relationship is essential to the way we know things. 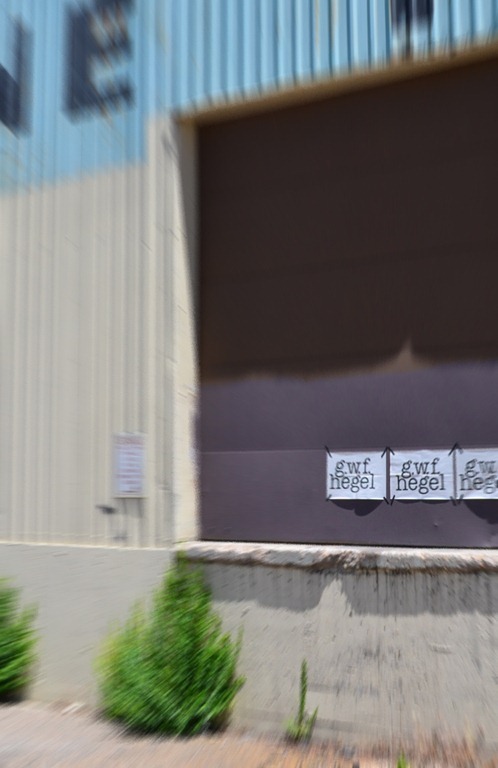 This is the true work of knowing for Hegel, it is speculative, it is open to the mediation of conflict & this conflict is the void “…the ancients conceived the void as the principle of motion, for they rightly saw the moving principle as the negative, though they didn’t as yet grasp that the negative is the self…” (PS/37) When spirit knows these differences between itself & its negation it will actively see this blend as knowledge & speculative logic. Is there a problem with seeing that that the opening up of spirit is so closely realized as the negative negation? We’ll remember that to pursue knowing, science one must look to what is false & not cling to the familiar. Real learning doesn’t happen in the comfort of what it already knows. The method of science is logic & its concept is logic. This places philosophy before science & the two should remain unconfused while knowing this. It could be that Hegel’s distinctions with mathematics & formal science define a place for philosophical conceptualization, this should be enough to retain its area of expertise & discernment. Moving on to issues of the dialectic, Hegel writes that Immanuel Kant rediscovered the triadic (transcendental) dialectic & that this had become a lifeless way of thinking of the mind, especially in terms of Kant’s ‘categories’ (& antimonies). Of course Hegel thinks that his way is the better of the two. J.G. Fichte is hinted at with his famous (often mistaken to be Hegel’s) characterization of the dialectic as ‘thesis, antithesis, synthesis’ that seemingly narrowed the triad far too much. Hegel sees such reductions & simplifications as likened to a landscape/ history painter who only uses two colors of paint: red & green. Hegel was speculative rather than thinking in terms of either/or. Kant & Fichte are said to be insufficient in recognizing the dialectic as a means to access the absolute knowingly, instead of as a mere understanding & an empty schema (we’ll look closer at these issues in a bit). The logic of the dialectic is particular kind of a speculative reconciliation. For example a problem is solved by not figuring out the true & false, instead it is finding that the two polarities are linked & could represent a the third arm of a dialectical triad. Yes, Hegel’s dialectic was not Fichte’s, but it certainly had elements of the tripartite idea at work. One word that’s important to pay attention to is ‘aufheben’ which is known today as sublation. This German word encapsulates Hegel’s speculative thinking because it means to raise up & to bring down , the simultaneity of appearing & disappearing. Yet another Heraclitus fragment is applicable here: “Σκίδνησι καὶ συνάγει, πρόσεισι καὶ ἄπεισι. / It disperses & gathers, it comes & goes.” As things appear they are also disappearing. As things are disclosed, they can then also be closed. The defining nature of an any idea, if it is self-realized, becomes a determination, this can be an abstraction that gets away from itself & becoming something other, not as a defect but as a momentary feature of the whole. Existence is looked at as a determination & this is reflection, this can be an essence & an idea that is usually in relation to the other as outside itself. Herein lies a mistake, since we need to see this otherness as an inward turn, a ‘becoming’ “thus common understanding, too, is a becoming, & as this becoming it is reasonableness.” (PS/55) Whatever it is to be, is a being’s concept, its notion & its “rational element” (PS/56) Being is its own logical necessity & Hegel says that this is speculative philosophy & a self-made determination. Hegel warns us to not get too giddy about this new speculative knowledge of a the scientific method, again this is just getting us going: “Its truth does not lie in this partly narrative exposition…” (PS/57) In short: get on with the work of philosophical science. The concept has to be ‘being-for-itself’, we have to self realize the concept as a kind of being whole & no longer separate with our world. We are no longer looking at it as a Kantian (categorical) schema. 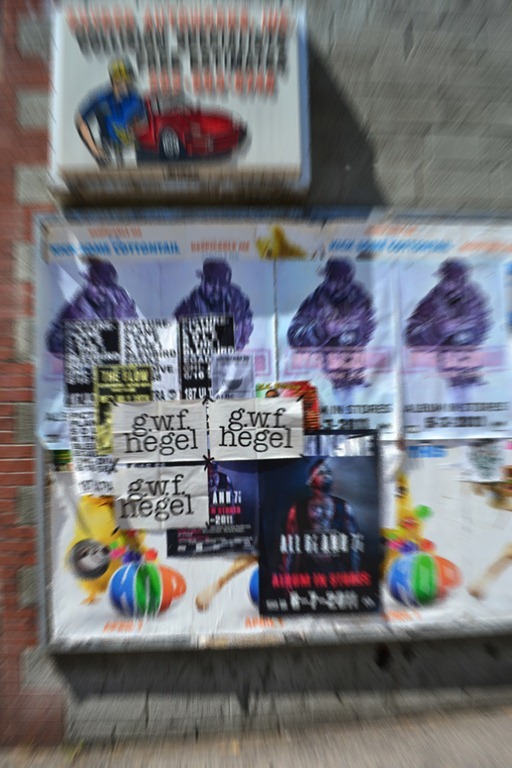 Hegel’s is a modern call to be free, self-realized & self-determined. It could be enough to suggest that we’re living in a material world & that thinking philosophically is only about argumentation. Consciousness needs to see the world as immanent & with the speculative result of this movement of mind’s thought finding freedom, after all science is the movement of spirit. As for argumentation, Hegel addresses this clearly to more-or-less say that when one is making a case for an argument we’ll negatively enforce what is believed to be right (or wrong, case depending). This arrogant self assurance does not see the positive side of the negative stance, it only sees the enforcement. A speculative approach would on the other hand, include both points to find an answer in the blend. A negative enforcement can be turned into a positive affirmation. Right & wrong thinking refuses this synthesis. If we are thinking in terms of substance as immanently becoming subject for ourselves, then when such an argumentative position arises we need to stop thinking of how to re-predicate the subject. The substance needs to be sublated into a subject, a conferral with the ‘error’ maybe as our own misunderstanding considers a higher truth, a more complete knowing that contains the so-called right with the wrong as the newest combination to then be challenged again, in a similar manner. An argument fails to get beyond the predicates & it needs to get to the matter from the inside. When we take the predicate as the subject, this causes a step back, turning the argument into a non-starter, one that’s not taking the falsity as a part of its answer & its resolution. Our problems with the outside world need to be seen as that: our problem with the outside world, this is instead of turning our problems inside-out to blame everything else as the source of error. Hegel is urging us in a way, to go before the predicates & accidents (these predicates were part of the issue Hegel had with Kant’s transcendental dialectic & the categories mentioned earlier) “Thus the content is in fact, no longer a predicate of the subject, but is the substance, the essence & the notion of what is under discussion.” (PS/60) The point Hegel is making is a reiteration of one he’s already made, where in a argumentative position it’s easy to get caught up in the predicates & accidents of the subject. This kind of distraction fails to recognize the essence of the subject as notion, where notion (conceptualization) can represent consciousness as it knows the object immanently in the world & in our minds at once. Hegel wants us to see our own consciousness when we apprehend the world & ourselves thinking of the world—outside taken in to become concept. The effort is no longer a passive involvement with the subject. “Here, that subject is replaced by the knowing ‘I’ itself, which links the predicates with the subject holding them.” (PS/60) Hence the ‘I’ becomes the determination in consciousness. All this is not to imply that Hegel was getting rid of the categories outright, by no means was he doing that. Roughly, Hegel was trying to refine the way Kant implemented the categories to better show how we know the world. In a way it’ll be strange to suggest that Hegel simplified anything, but in this case he did. 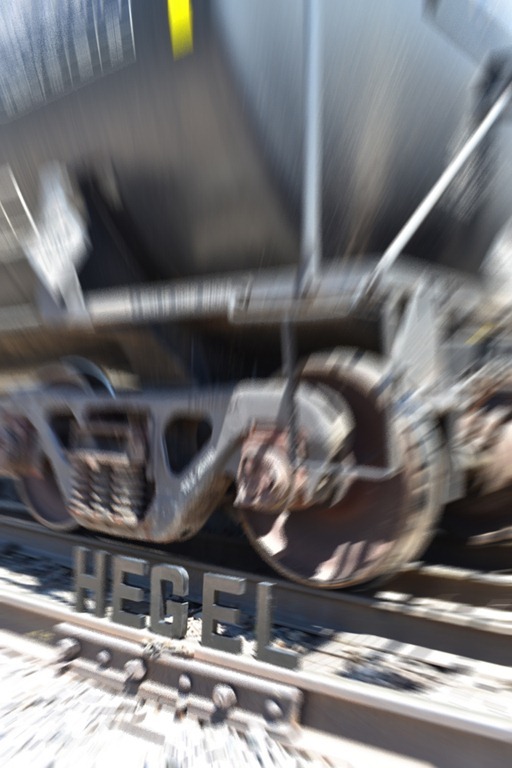 Hegel simplifies the act of thinking as it concerns the way we logically apprehend things. Kant’s categories had the categories as abstracting the subject away. Hegel wants the categories appearing as logic that is immanent in the world & also in conscious thought. Thought doesn’t just go through a list of a priori categories as it thinks of something, it performs more simply than this. Thought works with the categories as they are already present in the mind & most importantly for Hegel, they are immanent in everything else that is apprehended. The categories arise from the world & from thought not all together, but as they’re apprehended. Accessing the subject should precede the essential logical categories, while still remaining a priori. This is a removal of presuppositions, whereby the categories are the logic of our minds & everything else. A conceptualization of logic is the way the mind knows itself as having knowledge of an object. There’s not a shuffling of categories, only pure thought submersion. This is a differentiation of content with the determination of thought that sees the content as a movement into knowing. This is thought taking in things to know, while openly knowing that it doesn’t know everything & so, it has to use this not-knowing as a step forward into learning. “So too, in the philosophical proposition the identification of the subject & predicate is not meant to destroy the difference between them…their unity, rather, is meant to emerge as a harmony. (PS/61) Such is the taste of speculative logic for Hegel. “This return of the notion [concept] into itself must be set forth. (PS/65) Hegel explains that in can appear as if the speculative dialectic can produce proofs ad infinitum in the an argumentative mode, but Hegelian thought is in-touch with the one concept, which is subject itself, which is the self & which is the objective world around us. 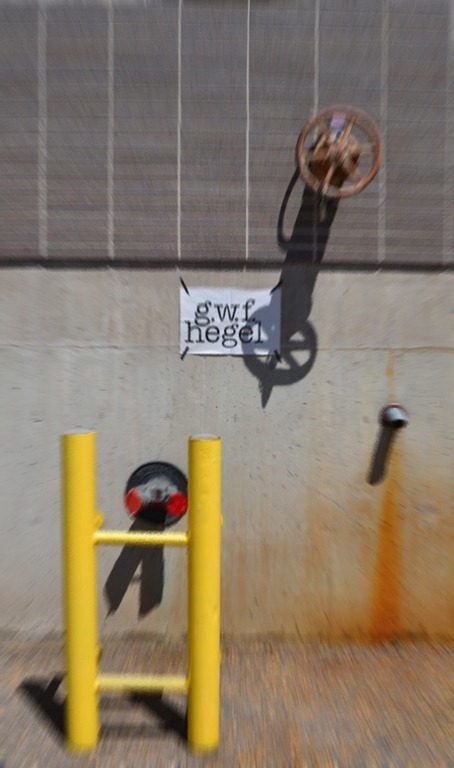 Hegel, G.W.F., Hegel’s Logic, trans. William Wallace, fwd. J.N. Findlay, London: Oxford U. Press, 1975. Hegel, G.W.F., Hegel’s Preface to the Phenomenology of Spirit, trans. & commentary Yimiyahu Yovel, Princeton: Princeton U. Press, 2005. Heidegger, Martin, Hegel’s Phenomenology of Spirit, trans. Parvis Emad & Kenneth Maly, Bloomington: Indiana U. Press, 1994. Heraclitus Fragments, trans. text & commentary T.M. Robinson, Toronto: U. of Toronto Press, 1987. 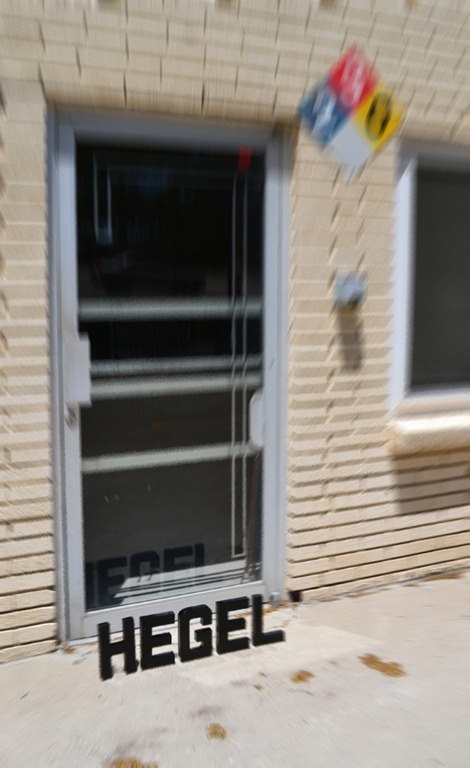 Houlgate, Stephen, The Opening of Hegel’s Logic – from Being to Infinity, West Lafayette: Purdue U. Press, 2006. Kaufmann, Walter, Hegel, New York, Doubleday Anchor, 1966. Magee, Glen Alexander, The Hegel Dictionary, London: Continuum, 2010. Singer, Peter, Hegel: a Very Short Introduction, New York: Oxford U. Press, 2001.